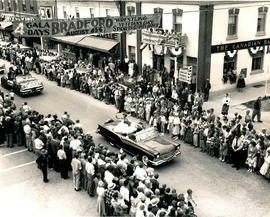 Car in Bradford's 1957 Centennial Parade. 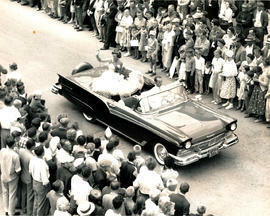 Photograph of the Centennial queen during the 1957 Bradford Centennial Parade. 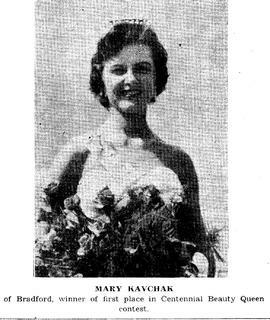 The following set of photographs were taken from the Bradford Witness August 21, 1957 edition, highlighting the Bradford Centennial parade and celebrations. 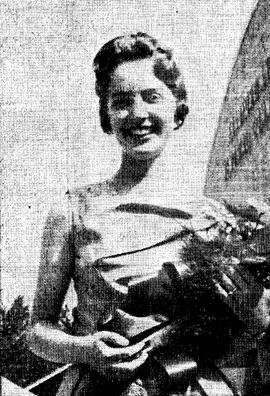 This photograph is of the third place Centennial Beauty Queen, Julia Varga.